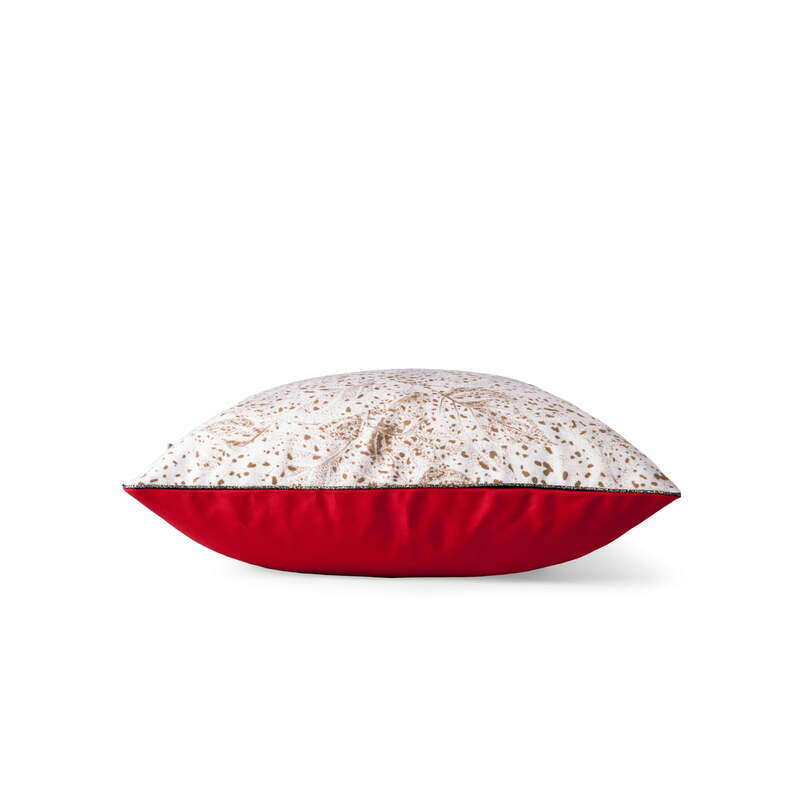 The Dots cushion by Petite Friture is characterized by its extravagant print. Delicate leaves and small dots determine the design of the textile and give it a soft appearance in a vintage look. 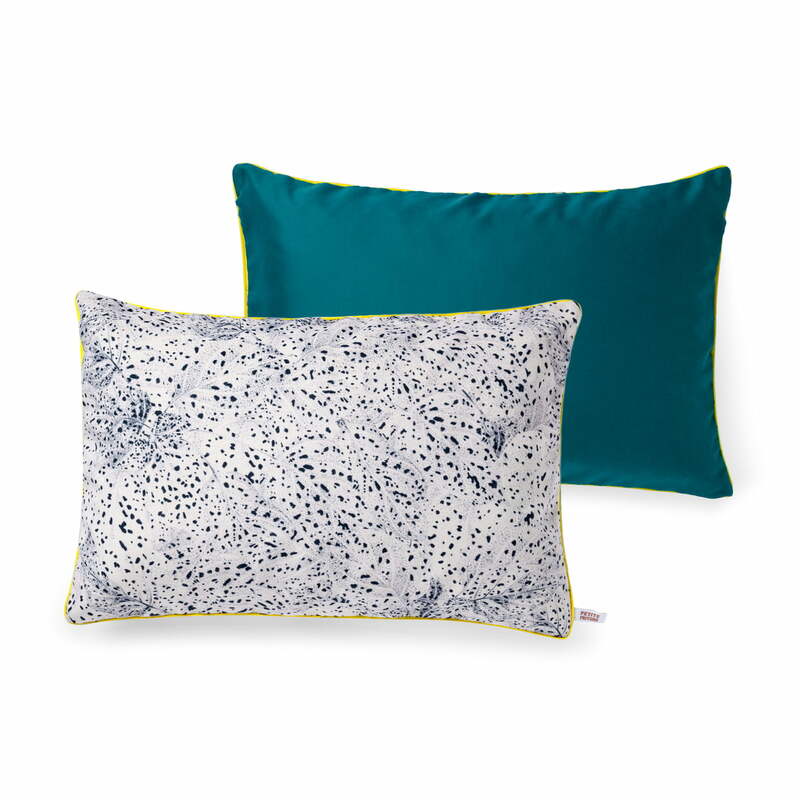 The cushion was designed by Shelley Steer, who is known for her floral patterns in a graphic style. 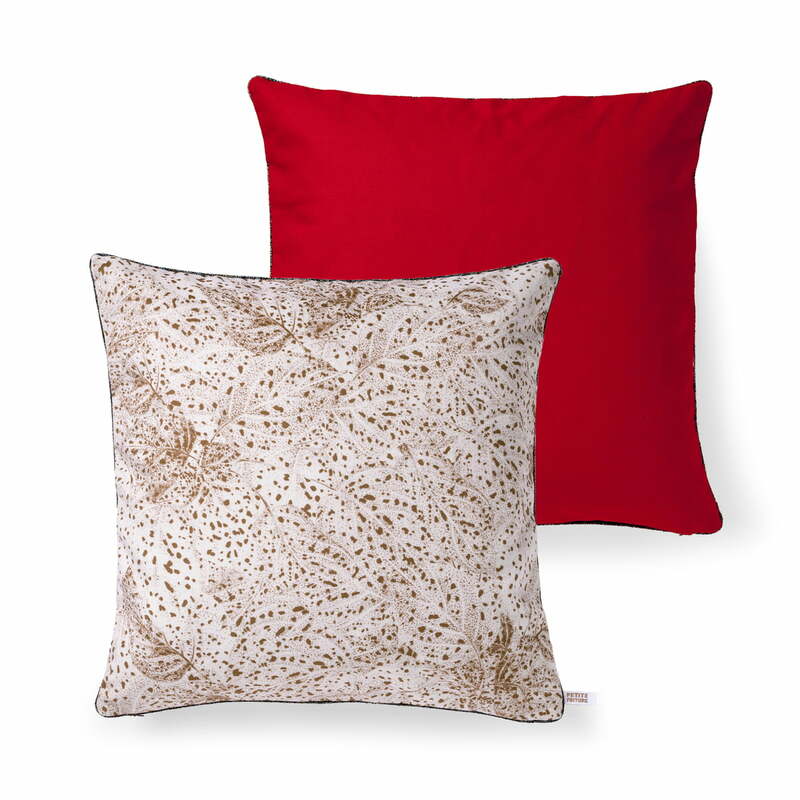 On the sofa, the armchair or the bench, the pillow can be perfectly set in scene. The patterned front of the cover is made of cotton, while the coloured back is made of velvet. A matching filling of 50% goose feathers and 50% foam flakes also guarantees a high level of comfort, so that you can make yourself wonderfully comfortable. 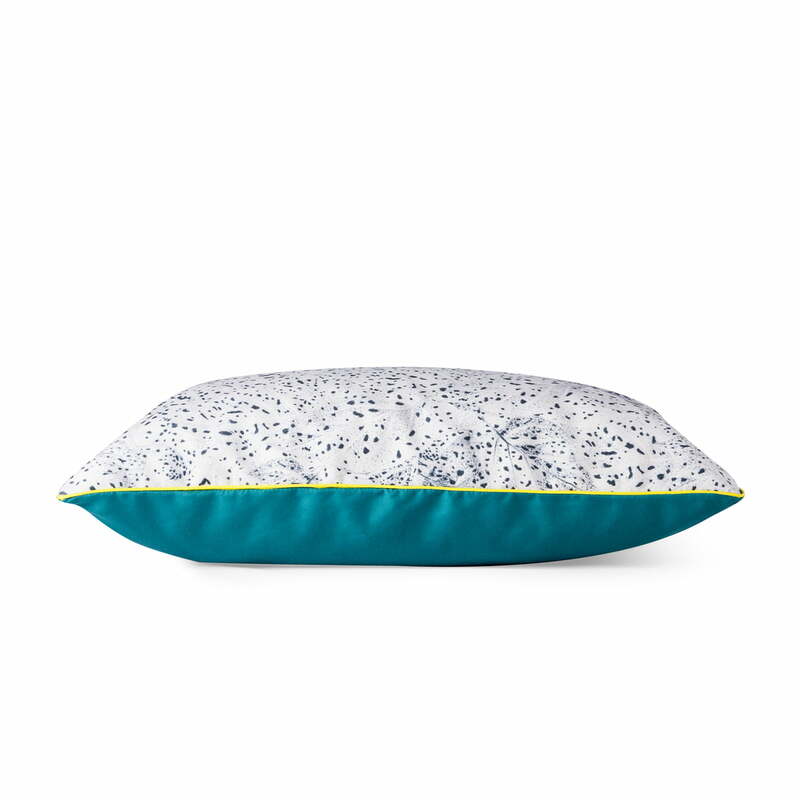 Dots cushion by Petite Friture in single view. Delicate leaves and small dots determine the design of the textile and give it a soft appearance in a vintage look.